Are you a shopping lover? If you come to Barcelona and you like to discover the shopping areas of the city and surroundings, don’t miss these articles. You will find the best shops in Barcelona to buy whatever you like. Clothing, jewelry, artwork, souvenirs, … everything you are looking for is in Barcelona. Black Friday is a new tradition with more and more followers outside the United States, where it was born. Thus, the third Friday of every November all the stores around the world offer irresistible discounts in their products. These offers that can even be enjoyed during the whole week of Black Friday. Barcelona is a city we could talk about for years. While discovering this incredible place, we organize many different visits: Gaudí’s works are a must. Sagrada Familia, Park Güell and other gorgeous constructions such as Casa Batlló, Casa Vicens (recently opened to visitors) or Casa Milà. 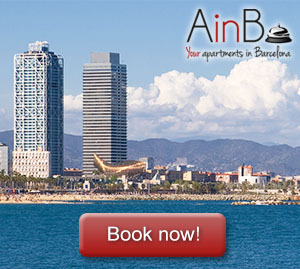 We also will enjoy walks through Gothic neighborhood, El Born, La Barceloneta and the beach. In our hiking day, we will discover hills around the Catalan capital: Montjuïc and Collserola. All these are incredible plans, but we also will need some time to relax and recharge our batteries. In this case, we recommend a shopping day in Barcelona. Barcelona is one of the Spanish cities which follow the typical European tradition of placing in every corner of the city a Christmas market, so we can see streets crowded of the Christmas spirit everywhere at this time of the year and people walking animatedly not only in places of the old town, but throughout the whole city map. We can say that a city is rich in plans and activities when it doesn’t let you have one free day to rest. In Barcelona you can spend days just visiting museums, enjoying the theaters, going to concerts, walking through the many neighborhoods and still keep on discovering new corners every time, but you can also spend days and days shopping in Barcelona: a real paradise for shopping lovers. There’s nothing we like more as travelers than covering as many countries as possible in our trips. This is the reason why we approach to cross to another country every time we feel close to the border of a new country, as we love to enlarge the list of the countries we have visited. The satisfaction is double when the country hides beautiful treasures and surprising places. This applies to Andorra, a small country hidden between the Pyrenees and that you can visit in just two and half hours from Barcelona.